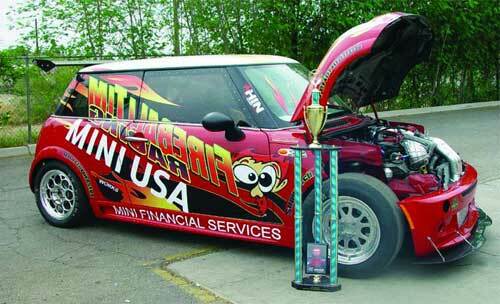 This is the world’s fastest MINI Cooper, a machine built by MINI USA and Fireball Tim Drag Racing. 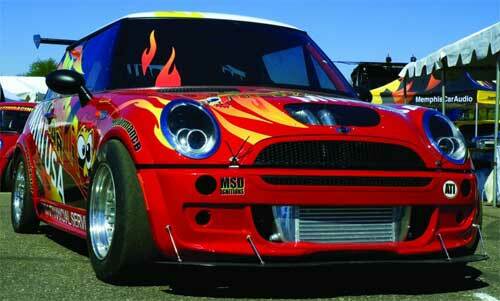 It isn’t just a wild claim though, it actually holds the actual official title for “World’s fastest MINI”. It’s body is made out of 100% carbon fibre, equipped with a John Cooper Works bodykit. 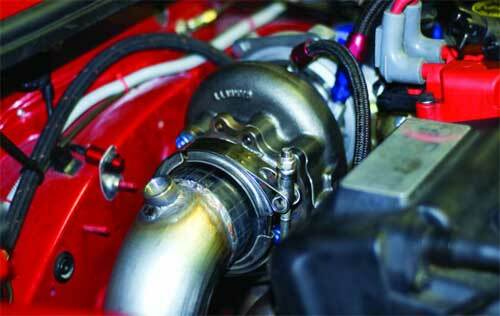 The engine is twin-charged, resulting in a good 500 horsepower which is alot for the 772kg car. More photos after the jump.